If there's a makeup trend I love to wear during Fall, it's dark lips! 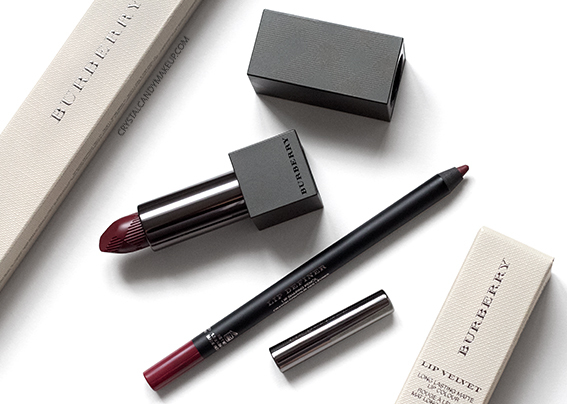 I absolutely adore burgundy lips with minimalistic eyes and every year I like to try new lipsticks. 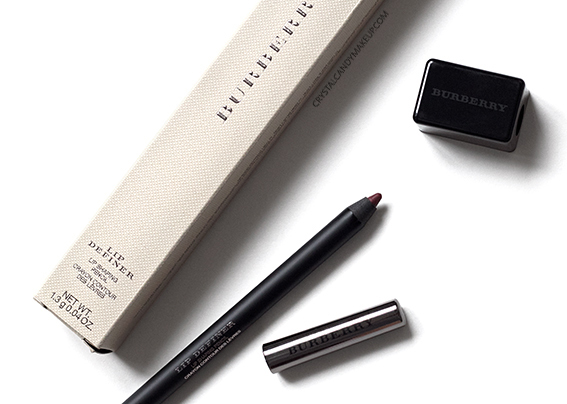 A few weeks ago I got 2 new Burberry lip products that are just perfect for Fall, a matte lipstick and a lip pencil. 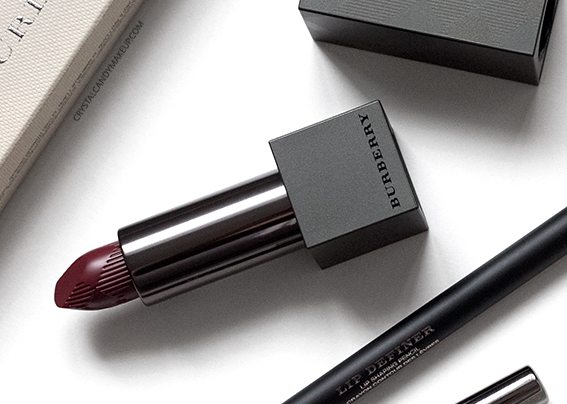 Keep reading if you're obsessed with dark lips too! No.437 Oxblood is a dark oxblood red with a semi-matte finish. The color payoff is excellent but not completely opaque, so you can apply a thin layer if you want a sheer veil of color or build it up to the desired intensity. How gorgeous is this red, seriously? The finish is more matte if you apply a thin layer, and more creamy with a thick layer.. although you can certainly blot with a tissue to remove excess oils and apply a second layer if you prefer an intense color with a matte finish. If you are familiar with MAC lipsticks, the finish is similar to MAC's Matte Lipsticks but the color is less opaque. 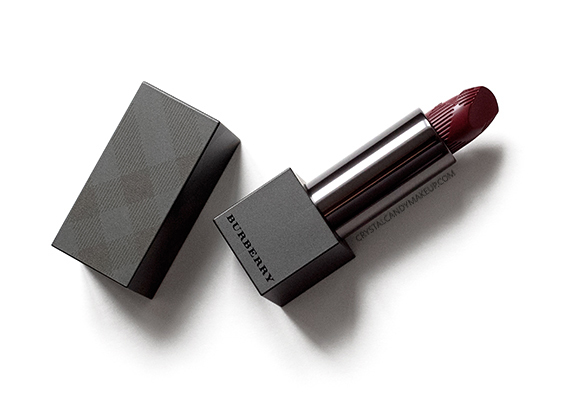 Compared to Burberry Kisses Hydrating Lip Colour, this lipstick is definitely less glossy and more pigmented but both have a lightweight feel on the lips. It has a slight perfumey scent but it's not overpowering and it doesn't have a perfumey after taste. It feels amazing on the lips, very lightweight and not drying at all! The staying power was really good as well, it lasted more than 6 hours on me without feathering or fading unevenly. Urban Decay Matte Revolution in After Dark is lighter, brighter, more violet. Vasanti Gel Matte in Drunk in Love is darker and more violet. MAC Fashion Revival is lighter, brighter, more magenta. Mirabella Colour Vinyl in Icy Violet is brighter, more magenta and the finish is glossy. MAC Matte Lipstick in Studded Kiss is a tad darker, less violet. PUPA Milano Velvet Matt in #403 is a tad brighter, more red. 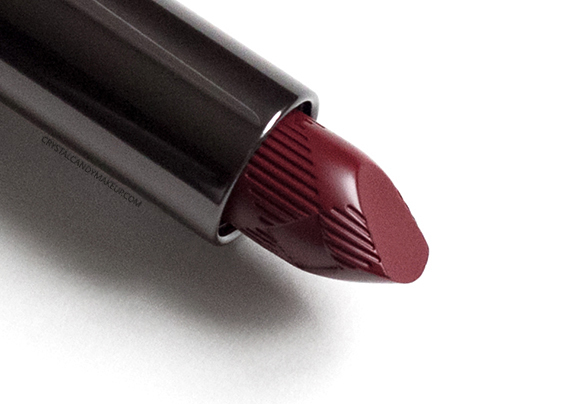 No.14 Oxblood is deep burgundy with a semi-matte finish. If you want a burgundy without violet undertones, this is it! Compared to other popular lip pencils, the Lip Definer Lip Shaping Pencil is much more creamy than MAC lip pencils, but less creamy than Colour Pop Lippie Pencils. 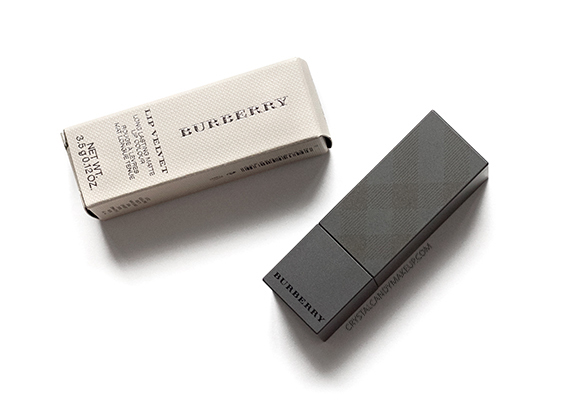 The texture is similar to Make Up For Ever Aqua Lips, both glides on the lips effortlessly but Burberry's Lip Definer has a semi-matte finish and feels less waxy on the lips. The staying power is pretty much the same though ; it really prevents feathering and once it set, it doesn't budge! 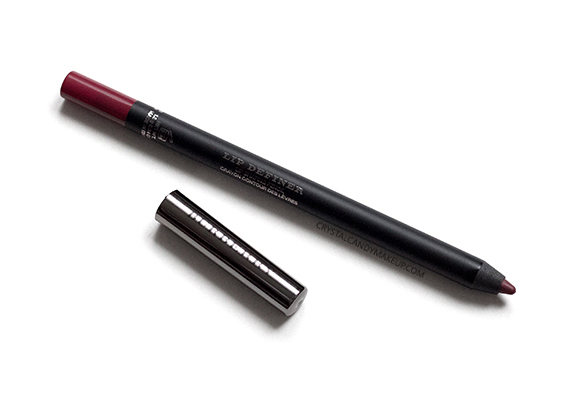 I know it's a bit pricey for a lip liner, but the formula is top notch and it comes with a sharpener! Make Up For Ever Aqua Lip in 10C is lighter, more violet. 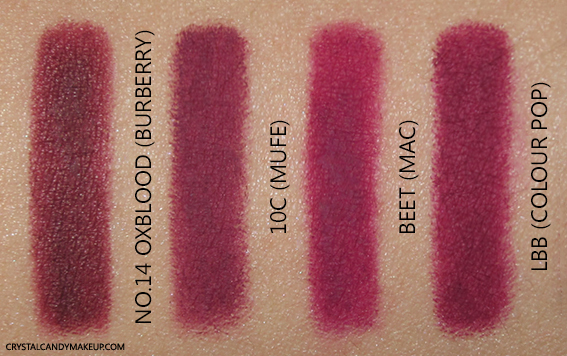 MAC Lip Pencil in Beet is brighter, lighter and much more pink. 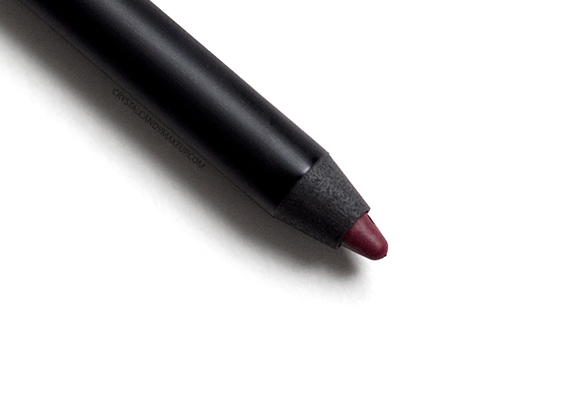 Colour Pop Lippie Pencil in LBB is a tad brighter and lighter, more magenta. Thank you, I'm only wearing the lipstick though! I love your selection. The shade is simply gorgeous. I'm glad you liked it, such a gorgeous red! Beautiful shades ! Amazing , makes me want to shop again !! Oh, are you on a no buy? Very pretty, I would like to buy lipstick!